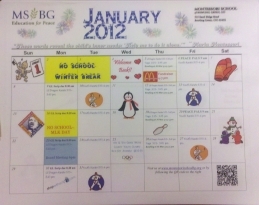 Weekly pertinent information about our calendar and events for our valued MSBG families and supporters. Researchers are currently investigating the benefits of the Montessori methods with senior citizens suffering from dementia. This fascinating research reflects the power of the Montessori method. "Maria Montessori, born in 1870, worked in the fields of psychiatry, education and anthropology. She believed that each child is born with a unique potential that could be developed by creating an environment that allows children to fulfill that potential. The Montessori method is rooted in the senses, and involves manipulating everyday objects and following structured activities that engage but rarely allow failure. 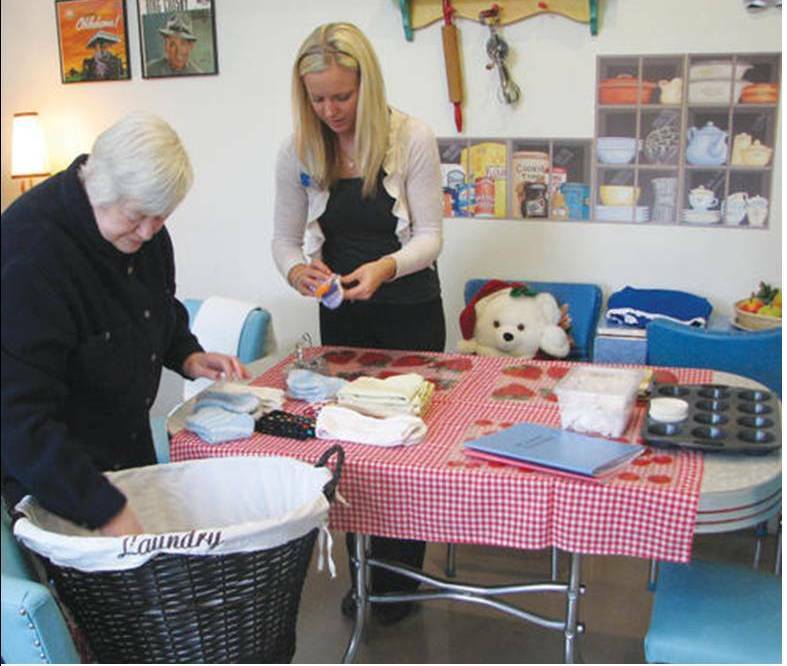 Over the last decade, similar activities have been structured for Alzheimer's and dementia patients to help develop some of the skills they have lost, such as feeding themselves." CLICK HERE for 2012 Gala information! Welcome Ella White, sister of Baylie White, who started this week in the West classroom. Her parents are Justin and Anna White and her grandparents are Mark and Marie Pendleton. Marie was the founding director of the Montessori School of Bowling Green. Please join us in welcoming her and all our new families! The Montessori Gala on February 25, 2012 is an important fundraiser for our nonprofit school. This year we will be raising money to FUEL the FLAME of your child's education by using the proceeds for new furnaces for the building. It is also a really fun event! Invitations will be distributed next week. The event is open to the public so please consider who you could invite. Or, better yet, get 4 couples together and purchase a Friends/Family table for only $300. This a great deal for a full sit-down dinner and entertainment at the beautiful Nazareth Hall. We are in need of donations. What item, gift certificate or service could you donate? What business do you know who would want to promote their products and services? This event directly benefits each child who comes through our doors and we are grateful for your support! Thank you for your support of the McDonald's Benefit Night last night. It is projected that we raised approximately $375! We are currently determining the dates for the Kids' Gala and Prime Time Reading Night. Stay Tuned!